Blunt trauma to the neck in a motor vehicle accident can result in a fracture of the larynx. This is an emergency situation due to a rapid decline in the ability to aerate their lungs following the injury. Because motor vehicle accident patients can have a wide variety of injuries, each of which needs attention, it should be known that a larynx fracture takes priority over many of these other injuries because it can impair the airway and may cause the victim’s death in short order. Larynx fractures are not at all common, meaning that even skilled ENT specialists have a difficult time dealing with these unusual fractures. They represent less than one percent of all blunt traumas. This injury is rare because the larynx is relatively protected on most sides, particularly in children, who have more protection of their larynx due to having short necks and more elastic cartilage. The increase in seatbelt laws and the increase in airbags have further lessened the incidence of getting a laryngeal fracture from a motor vehicle accident. Females have a higher predisposition to getting a laryngeal fracture, in part because of their slender, and long necks. 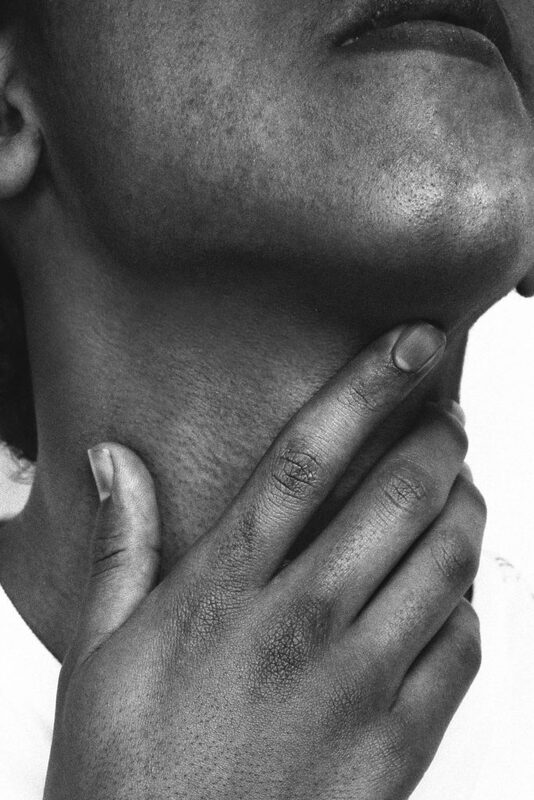 Males, however, actually get laryngeal fractures more often because they have a higher incidence of motor vehicle accidents, altercations, and sporting injuries. Older patients are at a higher risk of getting fractures of the larynx because they have calcification and more brittle larynxes. Those who sustain a larynx fracture are also likely to have open neck injuries, cervical spine fractures, esophageal injuries, and intracranial injuries. Most laryngeal fractures are caused by motor vehicle accidents or clothesline injuries and can occur at low or high velocities. Patients who get larynx injuries are more likely to be unrestrained; they strike the steering wheel or the dashboard at the time of the collision. Supraglottic area. There is a horizontal fracture of the thyroid cartilage that displaces the epiglottis to create a false lumen just anterior to the epiglottis. Cervical air in the soft tissues is possible in this situation. Glottis. There are cruciate fractures of the cartilage in the thyroid area, very near the attachment of the vocal cords. Subglottic area. This crushes the cricoid cartilage and disrupts the cricothyroid joint. There can be paralysis of the vocal cords due to damage to the recurrent laryngeal nerve. Cricoarytenoid Joint Damage. The larynx can be compressed against the cervical spine so that the cricoarytenoid joint is dislocated. Hyoid bone. This is seen more often in women. The hyoid bone is rather delicate and can be fractured with direct injury to the bone. Cricothyroid joint. This is when the inferior cornu of the thyroid cartilage is displaced so that it is behind the cricoid cartilage. Vocal cord paralysis can occur with this injury. If there is any evidence of cervical trauma, a larynx fracture must be considered. People with these types of injuries tend to have pain in the neck, shortness of breath, hoarseness, pain on talking, an inability to speak and pain on swallowing. People with laryngeal fractures will also show stridor, air in the subcutaneous tissues, bruising, tenderness to touching the larynx, the spitting up of blood, and hematoma formation. Chest and C-spine films should be done to make sure the cervical spine is normal. Direct visualization of the larynx via endoscopy is the diagnostic measure of choice. Transnasal fiberoptic laryngoscopes are preferable because there is less gagging and the patient’s entire laryngeal and pharyngeal areas can be seen. The best diagnostic test besides laryngoscopy is the CT scan of the neck. This helps identify all areas of the neck and can tell the extent of the neck injuries. It can determine if there is a fracture even when there are no obvious symptoms. If the airway is compromised in any way, emergency surgery is done to secure an airway. 3D CT scans can show more than even a conventional CT scan or an MRI scan. MRI scans can work, but they tend to take too long to perform. Other tests that can help in diagnosing larynx fractures are fiberoptic nasopharyngoscopy, direct laryngoscopy, bronchoscopy, and esophagoscopy. If the laryngeal fracture is minor, surgery is unnecessary, and there needs only to have adequate ventilation and observation. 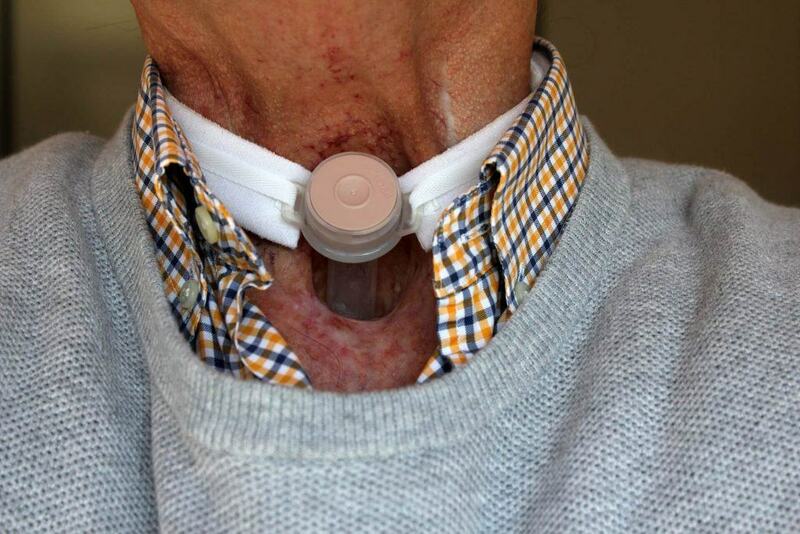 Tracheostomy can be done in the first 24-48 hours of injury to counteract the swelling of the area. Bed rest with elevation of the head of the bed is recommended. Voice rests are also suggested. Supplemental O2 is not recommended unless necessary. Arterial blood gases can help decide if O2 is essential. Corticosteroids can be given to decrease overall swelling if given shortly after the injury. If the fracture is open, then IV antibiotics may need to be provided to prevent infection. Medications for GERD are used to help the healing of the affected area and to prevent granulation tissue from forming in the larynx. Surgery is used in many cases which tracheostomy was done under sedation and local anesthesia. The larynx is approached by cutting through the cricothyroid membrane. A fine absorbable suture is used to repair the larynx and mucosa. The larynx must be reduced and immobilized for proper healing. Metal alloy plates are sometimes used to correct these types of fractures. The plates are miniaturized to fit the small size of the larynx. Absorbable mini-plates are used in other situations, depending on availability. Watch YouTube Video: Woman Receives Larynx Transplant. The video below features a woman who received a new larynx in a rare transplant surgery after losing her voice 12 years prior. I’m Ed Smith, a Sacramento Personal Injury Lawyer. If you or a loved one has been injured in an accident, call me today at 916.921.6400 or 800.404.5400 for free, friendly advice. Our client reviews are on Yelp, Avvo, and Google.